Lumos’ innovative technology tackles one of the most overlooked problems of the 21st century: nuclear waste management. Lumos’ mission is to create safe, renewable and passive systems that safely store, cool and efficiently generate electricity from spent nuclear fuel. Currently, the U.S. has no long term or interim storage plans for what to do with their waste. They are looking to the private industry for the best solution. Less than 10% of the total energy within nuclear fuel is utilized during its time within a nuclear reactor. 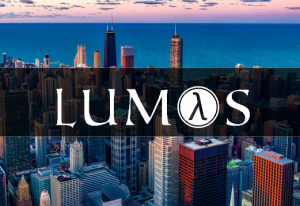 Through Lumos’ innovative technology we can utilize an energy rich resource that is safe, reliable and will be creating energy whether or not we decide to do something with it.